Wow: on the surface that sounds sort of irresponsible: to have had three break-ins already, including acts of profanation, and not put in an alarm system. I mean, even if they were a little lax about it, then two break-ins should be enough to convince anybody. Were they in denial? 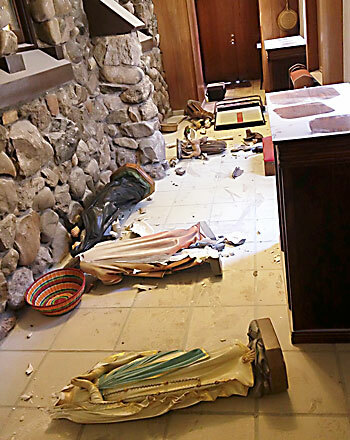 And I hate to say there should be a diocesan policy on one more thing, but somebody ought to be analyzing patterns of crime against churches and directing that reasonable steps be taken to prevent thefts and profanations. Isn’t that a bit more important in crime prevention than making sure that the little old ladies in the choir loft fill out a new CORI form every year?